Robin has proudly provided property management with ERA since 2002. Presenting and providing methodical rental/asset management for both landlords and tenancy in our ever changing world of real estate services. 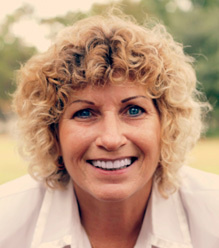 ​Robin grew up in the property management business in Pinellas County, FL. and have almost always enjoyed being in some facet of real estate. Robin provides service for the following areas: Citrus County as well as, southern Levy, western Marion and northern Sumter Counties and ​is honored to be known as an accomplished Professional Residential Manager (PRM) and Realtor® since 2002. Robin has also been a member in good standing with The National Association of Residential Property Managers (NARPM) since 2012. Robin's practices consist of maintaining the property and establishing time lines, advertising, thorough background checks of all potential tenants, communication with both parties and a full accounting of all funds. Allow ​Robin to reduce the hazards of managing your rental home/investment property by striving to minimize the worry for ​you!